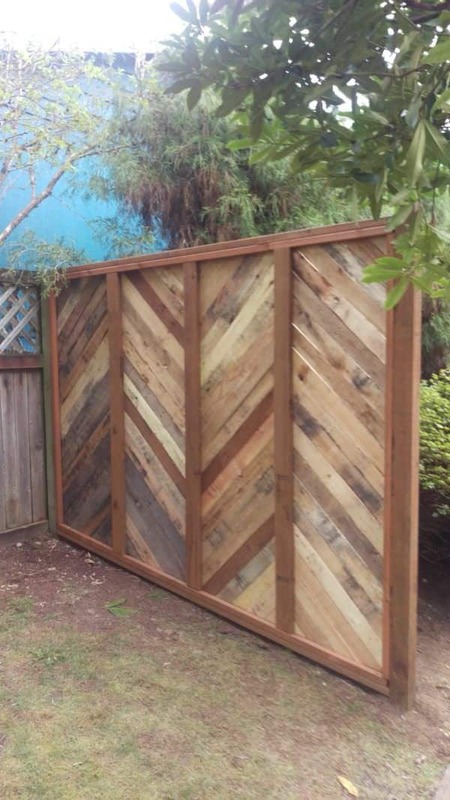 I made this section of fence out of the slats of eight pallets, a 10' 4"x4" treated planks, two 8' (approximate) 2"x4" treated boards and approximately 50' of 1"x1" treated boards around the perimeters and a box of #8x1 1/4" screws. 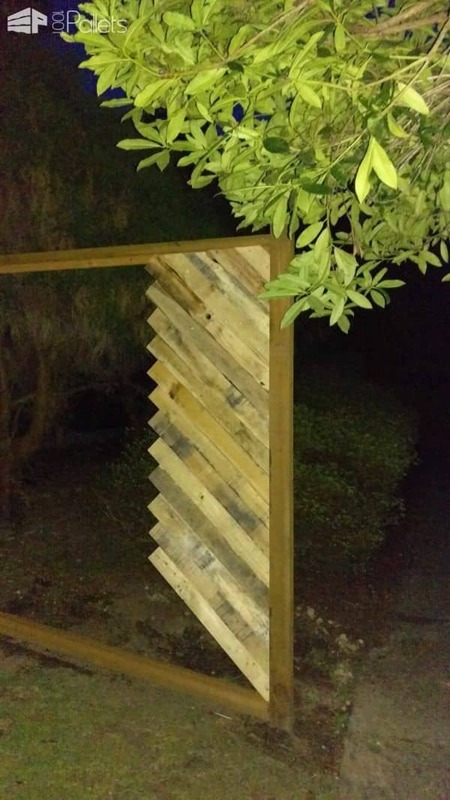 I spent a fair amount of time ripping wide boards and warped boards into the dimensions desired. 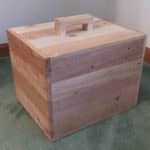 The primary pattern is simply 45-degree angles, but each piece along the bottom edge is custom fit. I discovered early on that I needed to drill pilot holes before using screws. Otherwise, I risked splitting the boards. The project took over 16 hours (digging a post hole takes time in rocky soil) but will be well worth the effort. 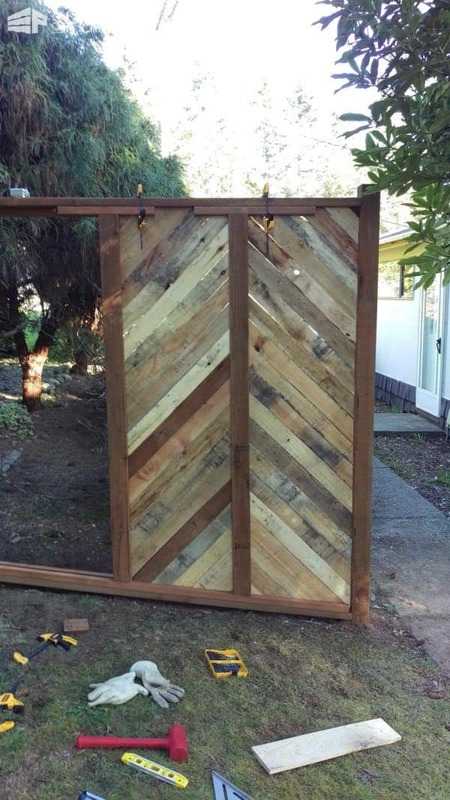 To follow up, check-out my update of this backyard pallet fence. 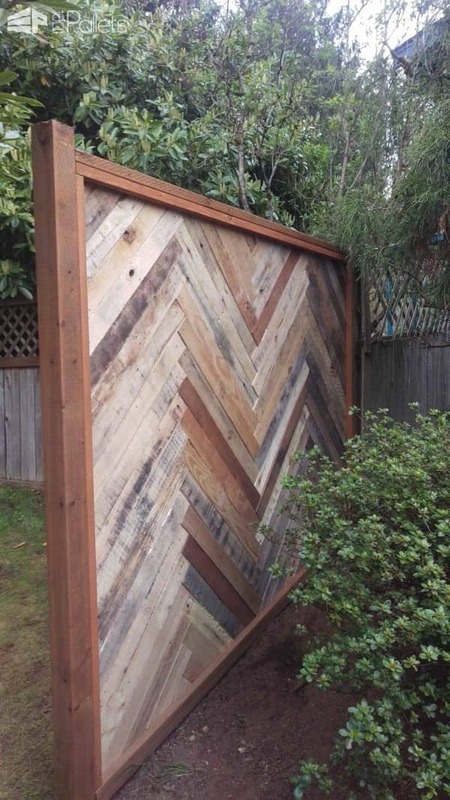 I absolutely love your fence, it is beautiful! Thank you for sharing your design with everyone! Encore un contrat pour ton paternel Cindy. 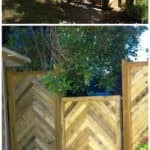 Ça pourrait être pas mal… Et pas trop compliqué en plus..
Hannah Johnstone need a fence? Build this Dustin I like it. Bianca Carmona how cool is this! !